Before the main library closed, the inter-library loan functions were outsourced to a private company called Infotrieve, the consultant wrote in a report ordered by the department. The library's physical collection was moved to the National Science Library on the Ottawa campus of the National Research Council last year. A recently retired Health Canada pathologist agreed with this assessment. "I look at it as an insidious plan to discourage people from using libraries," said Dr. Rudi Mueller, who left the department in 2012. The report noted the workarounds scientists used to overcome their access problems. Mueller used his contacts in industry for scientific literature. He also went to university libraries where he had a faculty connection. The report said Health Canada scientists sometimes use the library cards of university students in co-operative programs at the department. Unsanctioned libraries have been created by science staff. "One group moved its 250 feet of published materials to an employee's basement. When you need a book, you email 'Fred,' and 'Fred' brings the book in with him the next day," the consultant wrote in his report. "I think it's part of being a scientist. You find a way around the problems," Mueller told CBC News. One of the problems Mueller couldn't work around was the disappearance of librarians who could help him in his search for scientific literature. The report said the number of in-house librarians went from 40 in 2007 to just six in April 2013. "The librarian would sit down with me and specifically design the searches for what I needed," said Mueller. "A librarian is far better at doing a literature search than I am," added Mueller. "It's their profession." James Turk, executive director of the Canadian Association of University Teachers, sympathized with Mueller's frustration. "Knowledgeable and expert librarians and archivists are invaluable resources in helping you find what you want," he said. "So they [Health Canada] are not just closing physical collections of books. They are getting rid of the guides to those collections." Turk worried about the effect this change would have on Canada's international reputation. "Scientifically, we are going to be a third-rate country," he said. A lasting regret for Mueller is that by the end of his career at Health Canada, he didn't feel satisfied with quality of his work. And he put the blame for that squarely on cutbacks in the department's libraries. "If I tell my children what I have done, I am not as proud as I would like to be." In the end, the report recommended moving the physical collection back to Health Canada and increasing library staff from six to between 15 to 20. According to Health Canada, the report was a draft and contained many factual inaccuracies. "[The report] was returned to its author for corrections which were never undertaken. 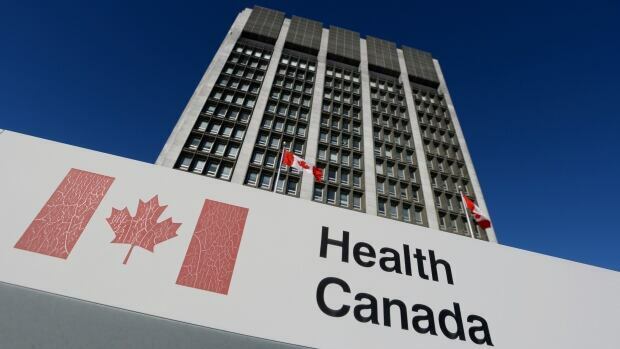 As such, the recommendations are based on inaccurate information and have not been accepted," Health Canada wrote in response to questions from CBC News. In addition, the department says it has consulted with employees and addressed many of their concerns.